Filling up the storage unit! We’re quickly approaching the final days to launching full-time in our trailer, Tranquility, and truck, Bessie. Our time, energy, and attention have been devoted to many tasks these last weeks. 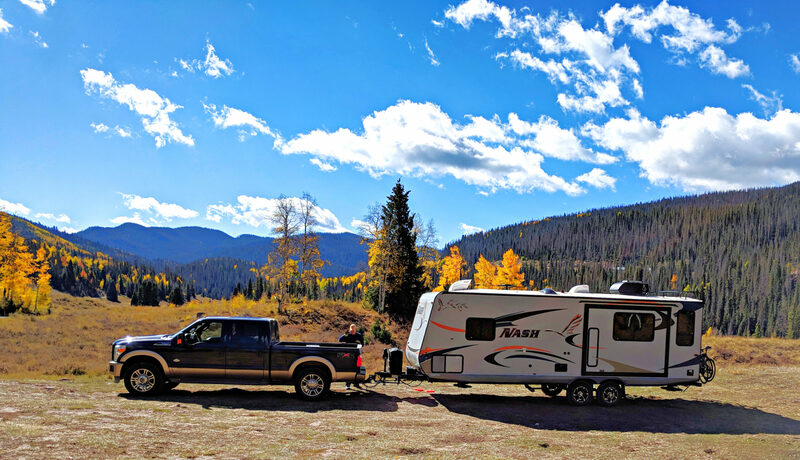 We’ve not shared a post on 12mph recently as we need to remain focused to complete our downsizing while at the same time preparing to live in our trailer full-time. Once we gave our notice to the landlord four weeks ago, it placed a stake in the ground and claimed a date on the calendar! We have experienced a fair amount of success with Craigslist, Facebook Marketplace, and Next Door to advertise household items for sale. Plus several family members and friends have acquired some of our treasures. What doesn’t sell by the middle of next week will be donated. If we had a time lapse video running, you’d see the household shrinking! It’s pretty remarkable. We will definitely post more details in retrospect once we have added time. 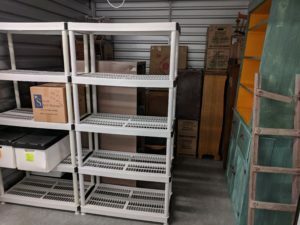 A few weeks ago we rented a 10’ X 10’ climate-controlled storage unit. It’s the same place we used several years ago and find it clean, easily accessed by elevator with dollies that they provide, secure with the manager living on site, and away from the worst of the traffic, making it fairly easy for schlepping a number of loads. A reminder to everyone that we have moved to a virtual, traveling mailbox. Thus, we’re unable to receive actual mail. We’ve gone paperless, which will also save some trees! You may email us at speedofsanity@gmail.com. Our launch day is Sunday, July 29. We will begin our adventures by heading east into the heat and humidity of the great Midwest. May our air conditioner work faithfully for us! As we get into a rhythm, we will share posts with you more often. If you’d like to follow our journey closer, with almost daily posts, you may find us on Instagram as speedofsanity. If you click the “subscribe” button, you’ll receive notifications when we add a new post! And, we’d love for you to share comments with us. my best to both of you. The unknown is very exciting, so enjoy this big wonderful land. Not many people could do this. I admire your courage and determination. I think about cleaning out and it gives me a headache. Maybe you should go around the country helping people to downsize. Easier to make suggestions when you aren’t sentimentally attached to things. Best of luck to you and have some great adventures! Thank you, Alma. It’s certainly a journey. 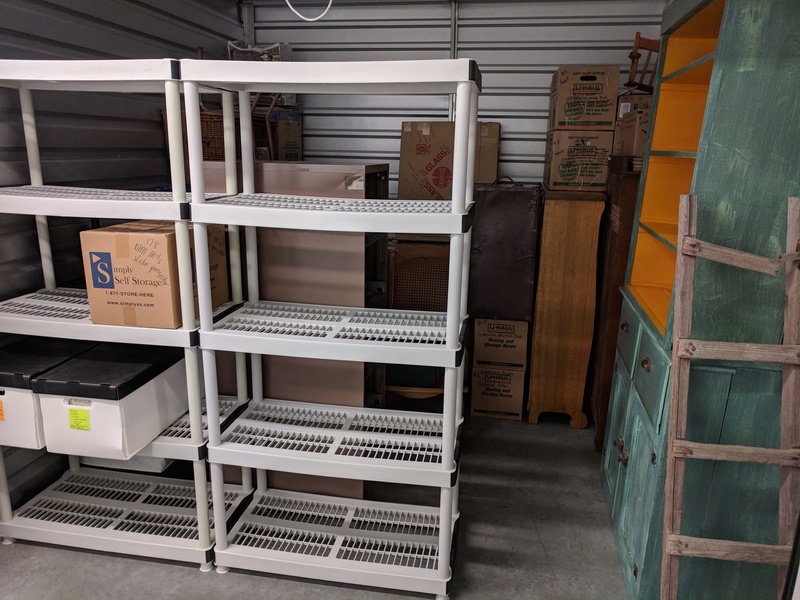 Probably the largest one for me personally, is to try to get the archives a bit more organized to more readily access them for future projects or donations. I’m trying to alleviate as much potential burden for us or our family. Let the adventure begin! Travel safely. Previous PostPrevious We have names!